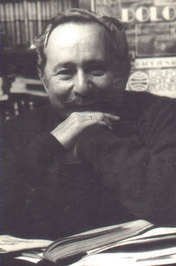 Paco Ignacio Taibo I, birth name Francisco Ignacio Taibo Lavilla González Nava Suárez Vich Manjón, was a prolific Spanish/Mexican writer and journalist. He was the director and founder of the cultural section of El Universal, the oldest Mexican newspaper. He is the father of writer Paco Ignacio Taibo II and movie producer Carlos Taibo.